So here is the look I wore the other night to dinner. 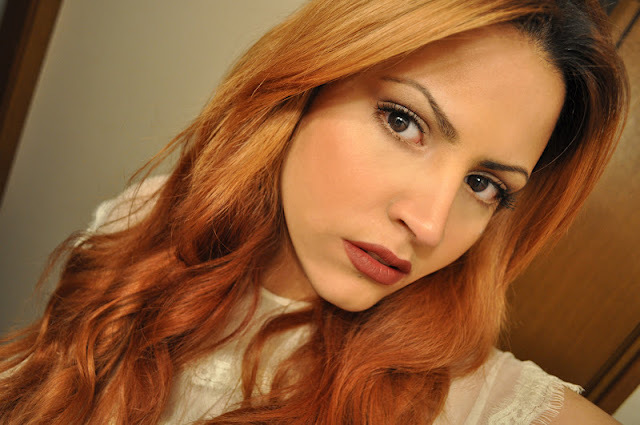 Yes, I need to do my roots but I haven't had the time, and I like that grown out roots look anyway. 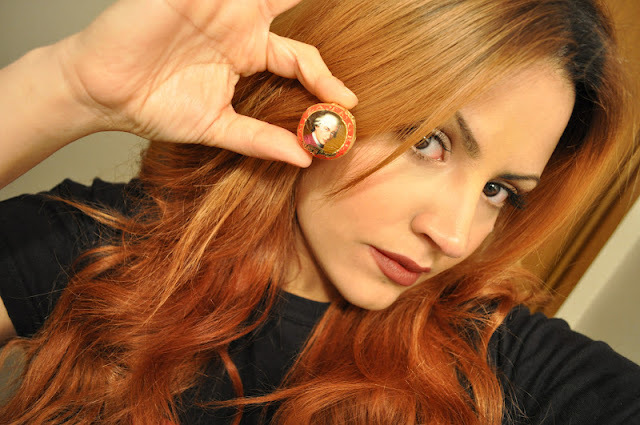 Mac Eye Shadow in Jest (All over the lid). Mac Eye Shadow in Shag (in the crease). Mac Eye Shadow in Corduroy (in the outer V and the lower lashline). Mac Eye Shadow in Handwritten (used to line the upper lashline). Mac Powerpoint Eye Pencil in Tendered (lower waterline). Mac Plush Lash Mascara (upper and lower lashes). Mac lipstick in Viva Glam III. This is the other influence for my look. The night before, my good friend Naoki stopped by to drop off some gifts from his recent trip to Vienna, Austria. I had no idea that he was even out of the country. if I had known, I would have given him an extensive list of goodies to bring back. 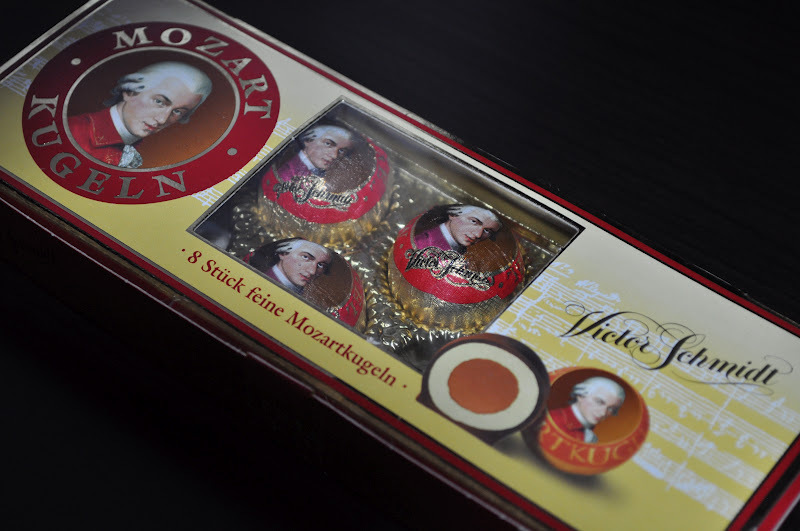 He got me these Mozartkugeln chocolates by Victor Schmidt. Naoki was surprised that I knew of these chocolates and had had them before. Actually, he was probably more in shock, since I kept screaming "Oh my god, I love these chocolates, over and over again :P There was a website on the back of the box: www.manner.com, so now I can stock up on these yummy bon bon's of joy whenever I like! Looking gorgeous one lipstick (and a few chocolates) at a time. I will have to send you an email :).. at solonelyingorgeous@hotmail.com?